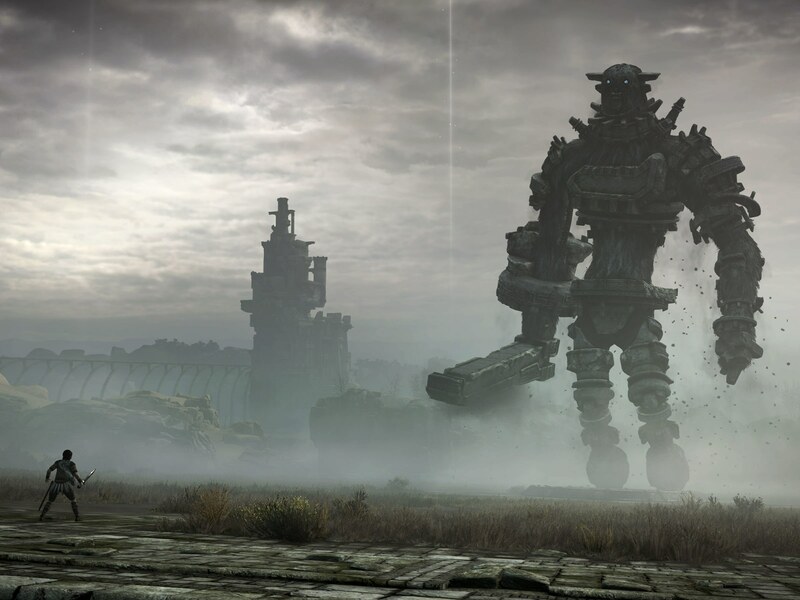 Few games thrive to be like the original. Sure, plenty thrive to be as influential or popular as the original, but in the case of the ToeJam & Earl franchise the goal is to literally be just like the original. This is a fact that franchise designer Greg Johnson knows all too well as he’s seen any delineation from the formula of the first game fall short. As you can read in my recent retrospective, Johnson along with various teams has been trying to give the fans what they have consistently asked for: a new version of that unique Genesis roguelike from 1991. I’m happy to say that if you are one of these fans, or even if you’ve never touched a ToeJam & Earl game before, you’re in for a treat. Back in the Groove takes the magic of the original title and enhances it in various ways while also knowing when to keep things consistent. ToeJam and Earl are two funky rapping aliens that “borrowed” the Rapmaster Rocket from their planet of Funkotron to go joyriding. Along the way the duo, along with friends Latisha and Lewanda, accidentally travel through a black hole and crash land on the mysterious planet of Earth. In ToeJam & Earl: Back in the Groove! you are tasked with selecting one of the four friends along with the original version of both ToeJam and Earl from the Genesis iterations as you collect all 10 pieces of the Rapmaster Rocket and get home to Funkotron. In a hybrid exploration and survival isometric action game, you utilize presents with unique abilities to navigate the enemies and traps in multiple levels that are either fixed or randomly generated. 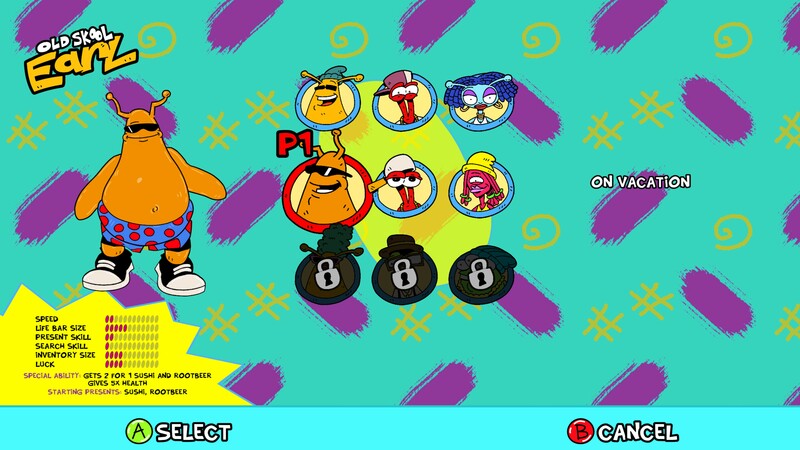 Yes, as I said, ToeJam & Earl is back. Fred and Jam have finally returned for a proper retro episode of Gaming History 101. This time the topic is all about how to update a game: Re-Release, Remaster, Remake, and Reboot. 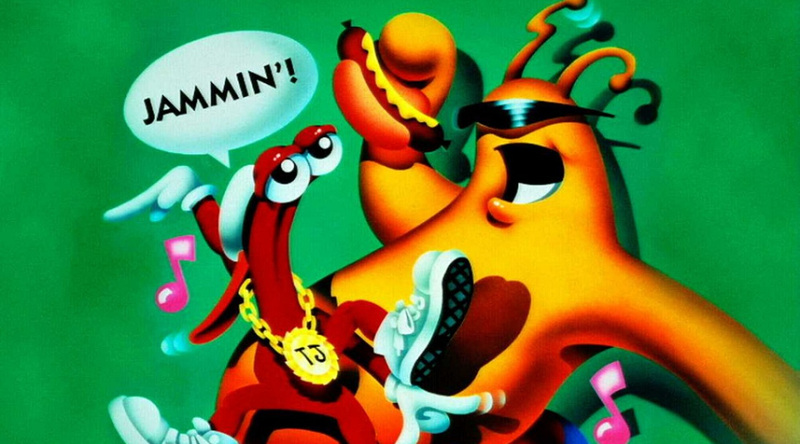 In proverbial “man I’m getting old” fashion, I’ve just realized that we’re just two-and-a-half years shy of the 30th Anniversary of ToeJam & Earl. 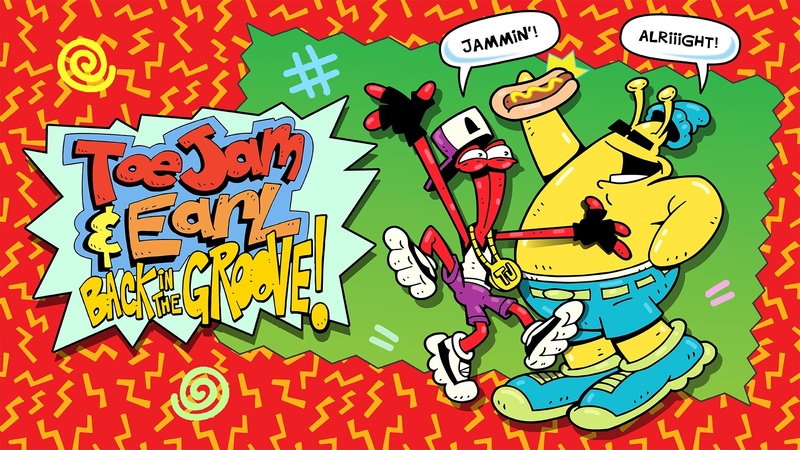 It’s not like I suddenly woke up and decided to write about this franchise, either, ToeJam & Earl: Back in the Groove will release this Friday, March 1st and while we can’t talk about it yet, tune back into the site on Thursday to get all the details and our thoughts. Permit me to take you back to the halcyon days of the Sega Genesis (Mega Drive for you players outside North America) and into the team that dared to make a roguelike in 1991 on consoles. The story of ToeJam & Earl starts with its creator Greg Johnson and his fanaticism for Rogue while at UCSD. The link above will provide you background on both Rogue and the now dubbed “roguelike” genre, but back in 1980s there was only one game influencing a slew of young developers. Johnson would go on to EA working on PC titles, including his most notable releases as designer on Starflight in 1986 and Starflight 2 in 1989, the latter receiving Computer Gaming World’s Roleplaying Game of the Year award in 1990. The franchise involves space exploration with integrated strategy, combat, and simulation in a non-linear fashion. It was a starting point and notoriety for Johnson early in his career and allowed him to get more creative as he brainstormed his next project. It was around this time, according to a Gamasutra’s interview I reference consistently, that Johnson met Mark Voorsanger, a programmer, while mountain climbing with a mutual friend. The two hit it off so well that Johnson pitched the idea for ToeJam & Earl and immediately set to work on establishing Johnson Voorsanger Productions, the studio that would develop and release the game. The concept was pretty straightforward, but also unique for the time. ToeJam & Earl is about two rapping aliens dripping with 90s urban culture who have their ship breakdown on Earth and have to scour randomly generated maps to re-collect all the pieces. Some may even call it a cartoonish, funky version of Rogue. According to Johnson, the main concepts that drove design were randomized maps and survival to complete the grand task of rebuilding your ship. I’m used to hearing about all the struggles that game development faces – in the Gamasutra interview you can read about Johnson’s in his formative years – but oddly enough this wasn’t the case with ToeJam & Earl. To hear him tell it, the design doc was easily assembled and Johnson pulled old team members into development, including the talented John Baker who was responsible for the soundtrack. A quick meeting with Sega that spelled out the design on note cards along with their combined experience on major games was enough to get the title published. Let’s face it, Nintendo has had a pretty crazy 2019 so far. Whether you are a fan or not, it’s hard to ignore how much has changed in less than 8 weeks into the new year and despite what you may think a large portion of the topics are retro. I figured it was high time to discuss them. Let’s break down what’s been announced and the retro take on these changes. 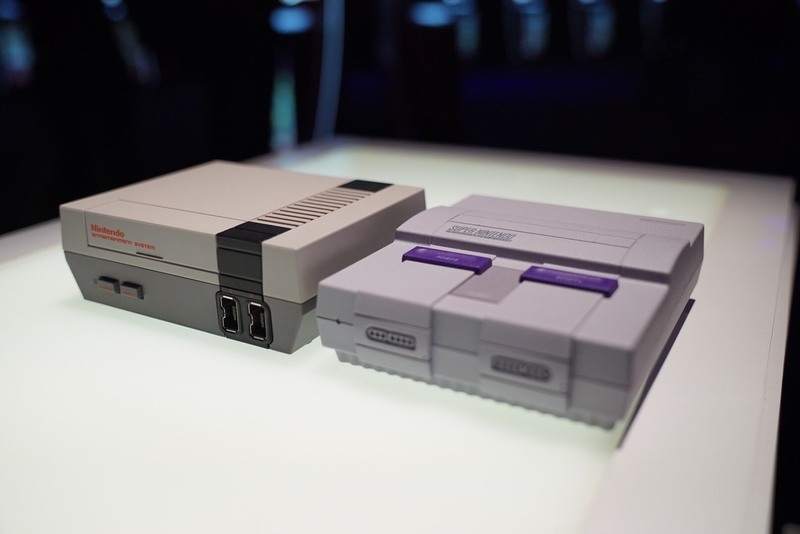 Okay, I know, this one came at the end of last year (announcement on Dec. 14th, implementation and shipments on Dec. 22), but one of the biggest changes this year is the phasing out of the NES and SNES Classic Editions. It was inevitable Nintendo would stop production on these items and once they were readily available the well for demand dried up very quickly. I’m so on the fence about the mini console craze because it’s clear that all of these items have had corners cut to a certain extent and I’m not convinced most people actually play these things. On the other hand, the mini things look so cool when you get them into your hands and thanks to hackers you can easily side load any games you want into them so they are much more versatile. I think of them now as emulation boxes that have the one thing other emulation solutions – like RetroArch on computers or RetroPie on Raspberry Pis – don’t have: they’re easy to make and operate. As a person who loves tech and is intrigued by a challenge, it’s aggravating that today emulation requires a lot of knowledge and time to set up. I get it, these are complex emulators that need complex setup, but that doesn’t help the mainstream. I’ve already heard from several of you that it’s just so much easier to buy one of these consoles and do the dead easy process of hacking in the roms you want. Lets also not forget that specifically the SNES Classic Edition contains Star Fox 2 in the only official release ever to come out as well as games that contain special chips like the Super FX and SA-1 that don’t work with a majority of flash carts on the market. Tikipod continues its quest to release all of it’s games to the Switch and I’m sure my whinging at the developer on the internet for a full year had everything to do with it. Iron Crypticle is next up for players and once again Tikipod has knocked it out of the park, or maybe the crypt in this case. Set in the land of Cryptonia, the royal treasure consisting of giant golden fruits, vegetables, and the princess have been taken, leaving a large gaping hole in the floor. It’s up to the lazy kings guard (who sort of let this happen in the first place) to jump down the hole and save the day. Iron Crypticle doesn’t take itself too seriously and you will undoubtedly chuckle at various moments including the merchant cat and the games final ending, which of course I won’t spoil here. I highly recommend you check out the “ledger” which is a sort of codex of all the items you collect in the game where the developer has taken the time to give a humorous description for practically everything you see (there may also be an achievement in it for you if you make the effort). Iron Crypticle is a top down twin stick arcade shooter with roguelike elements that takes influences from a few old arcade favourites including Ghouls’N Ghosts, Smash TV, and even Bubble Bobble. This week there’s some random Super Bowl talk before delving into sports games, virtual reality nausea, cowboys, 3D Resident Evil 5, and wrapping up with collector’s items. It’s a wild ride but one worth taking.